Inspired by Elf and in an attempt to bring some more traditional colour to my festive decorations, today I’m sharing a simple Jingle Bell decoration. The bells I’m using were bought from a high street craft shop in a pack of 12. I’m sure you have your own favourite craft suppliers, where you’ll find the same or similar. You’ll also need some ribbon, a metal hoop (I’m using a thin child’s bangle, bought in a multi pack on the high Street), green yarn and a crochet hook. A tapestry needle is useful for threading the bell. 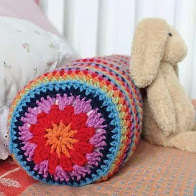 You can use any yarn. I used 4 ply cotton from my stash and a 2.5mm crochet hook. 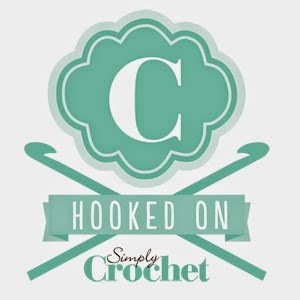 Begin by working double crochet (that’s UK terminology – dc, if you’re in the USA you probably call that a single crochet!) around the hoop (think of the hoop as an an extra large magic ring or chain ring). Work enough dc to fit comfortably around the ring, but allowing the stitches room to move (otherwise you will find the next round puckers). Slip stitch into the first dc to finish the first round. Now you get to choose. For a narrow hoop make one slip stitch in each dc, for a wider hoop work dc around. 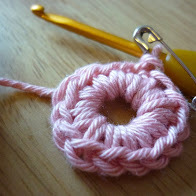 Whichever you choose, slip stitch into your first stitch to complete the round and fasten off your yarn. Thread the jingle bell through the top of the hook, tie a piece of ribbon in a bow to decorate and hang on your tree, the kitchen window, on a door handle — wherever you like and let’s hope the jingle jangle doesn’t annoy you by the time the big day arrives!